Today I'm featuring work from Margo Haskins. 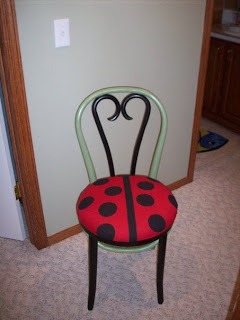 She paints on chairs and has some cute ideas. I have a wooden table and chairs that I've always wanted to paint for my son. Perhaps this will give me some inspiration to get it done! Fun stuff. Take a peek.